Versions 3.3.0 of SkyView was released today. This includes an all-sky mosaic of the Swift XRT observations. Over 129,000 XRT observations were combined to give coverage of just under 6% of the sky. A set of three surveys were produced: the combined counts, the total exposure, and the intensity map that is the ratio of the first two. 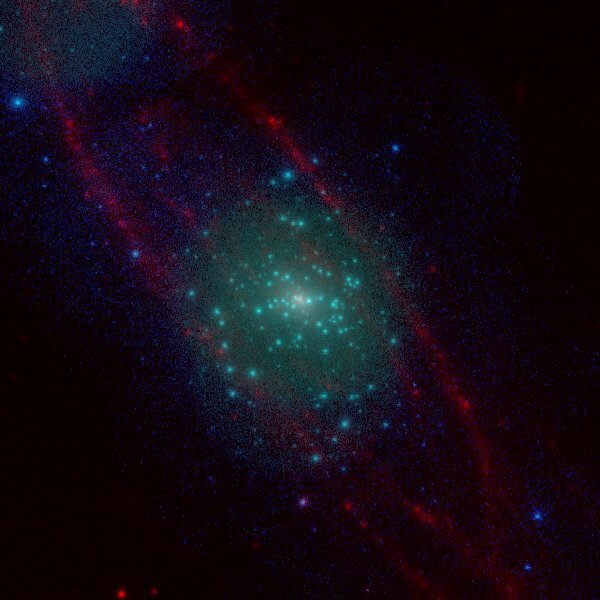 This image ofM31 combines the XRT intensity map with the WISE 22 micron image — contrasting the very different sources of X-ray and infrared emission. XRT Intensity (green and blue) and WISE (red) in a 1.2 degree field centered on M31. A few other changes were made in the release, notably many references to HTTP on our sites were changed to HTTPS. Although there should be an automated redirection, we are trying to purge the old HTTP addresses since occasionally they cause problems. This entry was posted in Announce, Notices, releases and tagged Release, Swift, XRT. Bookmark the permalink.